The Apple world may be talking about the HomePod a lot in the wake of WWDC, but it's not the first time Apple has tried to reinvent home audio. In 2006 — just a year before the iPhone appeared — a slightly-under-the-weather Steve Jobs introduced the $349 iPod Hi-Fi. None of the products sold on the market offered that at a reasonable price, he said, as he unveiled the product. The design was deceptively simple. 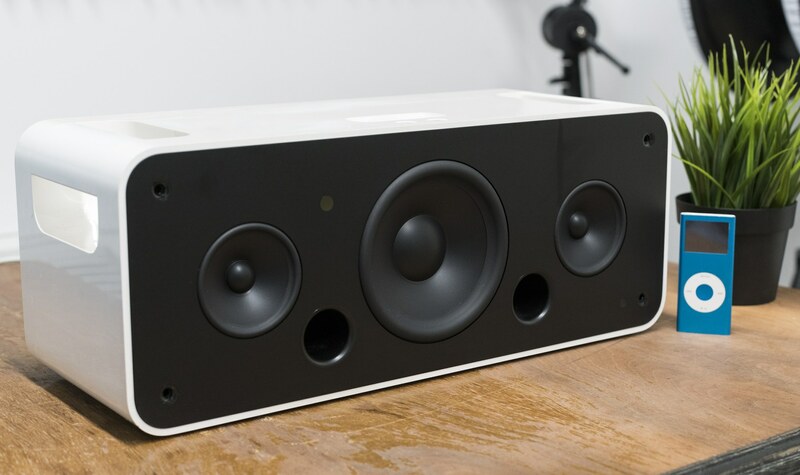 Inside the 17-inch wide, 6-inch tall, 7-inch deep white case, Apple packed two 80 mm wide-range drivers and one 130-mm woofer. The whole chassis was sealed and tuned for optimal performance. As the Hi-Fi weighed 16.7 pounds with batteries in it, Apple included large handles at the ends of the product to carry it around. The bottom was covered in grippy rubber to prevent it from slipping. Up top sat a 30-pin Dock, that used FireWire to charge the connected iPod. This would limit the viability of this product when Apple cancelled it a year and half after its introduction, as iPods quickly dropped FireWire in favor of USB for charging. Newer iPods could sit atop the Hi-Fi, but a Dock adaptor was required, and the iPod would run on its own battery power. In front of the Dock were a pair of recessed, touch-sensitive buttons for volume control. Volume and playback could be adjusted with the included IR remote. There was even a 3.5 mm audio in jack on the back of the product. The Hi-Fi was met with mixed feelings. 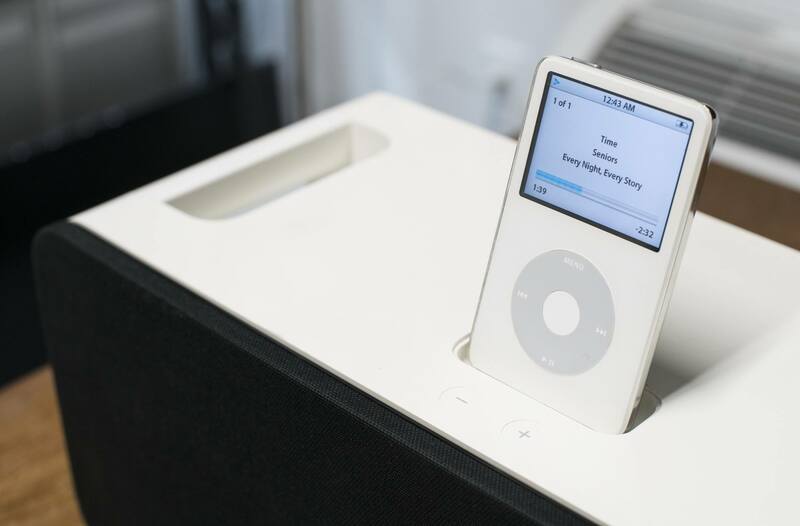 While it sounded great, many bemoaned the high price, the lack of an AM/FM radio and the fact the iPod sat on top of the device, making it hard to put on some shelves and entertainment centers. In designing the iPod Hi-Fi, Apple was aiming for rich, room-filling sound in a system that could replace an amplifier, a set of bookshelf speakers, and a stack of CDs. In that respect, the Hi-Fi succeeds admirably, even though not everyone will prefer its sonic presentation to that of its competitors. And the Hi-Fi’s unique features might even win over a few fans of the latter. Unlike some products from 2006, the Hi-Fi can still be used today. Most people don't have a device with a 30-pin Dock Connector, but the audio-in jack means that the Hi-Fi can be used with just about anything. While I don't use mine day-to-day, I do break it out sometimes, and the thing still sounds great, 11 years after it was introduced. The HomePod is set to take the Hi-Fi's legacy and extend it into our age of voice assistants and cloud-connected devices. 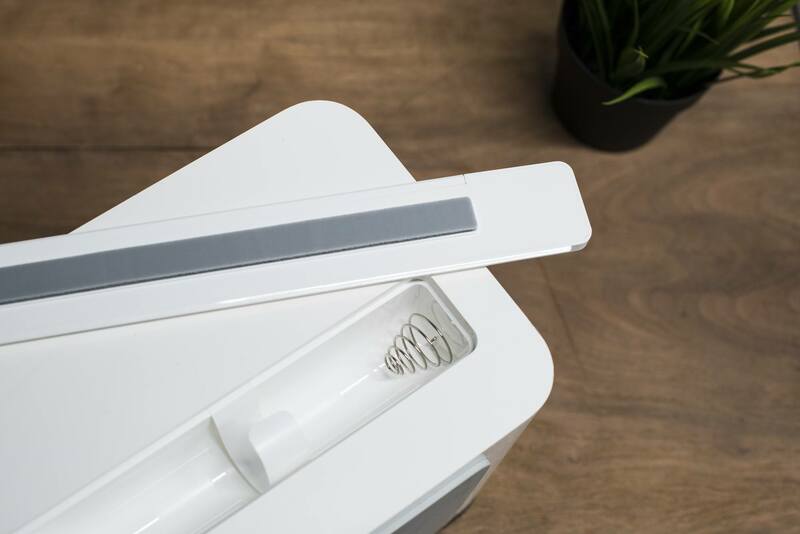 It trades an iPod dock for Apple Music, and an IR remote for Siri.